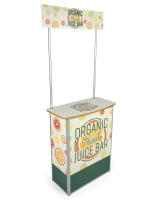 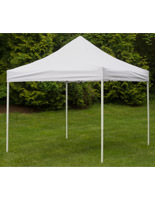 Each pop up canopy features a lightweight, yet durable white powder-coated steel folding frame that sets up and collapses within minutes. 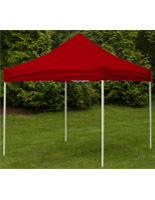 The top canopy is made of a red polyester fabric that is water and fade resistant. 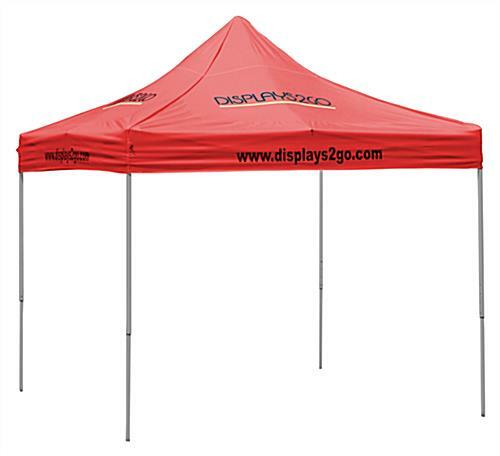 This tent, pop up canopy sets up in less than 10 minutes with no tools required. 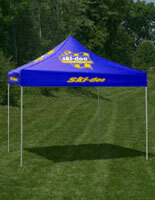 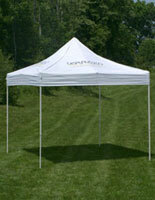 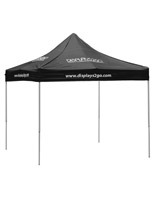 The tent comes with the full-color custom graphics of your choice. 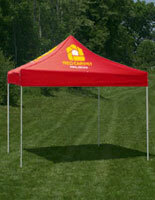 Graphics are printed on all 4 valances and canopies.